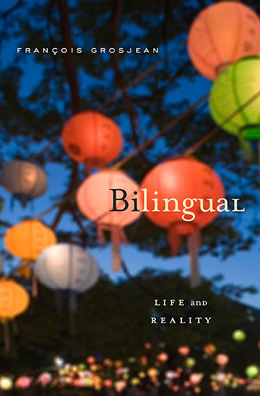 Note: Below my review of Bilingual: Life and Reality is a short, insightful interview with the author. Dr. Grosjean kindly responded, via email, to several questions I had in connection with his book. An irony is apparent in the fact that bilingualism is so prevalent in our world today—and will surely become even more widespread in the future—and yet, on the whole, the subject is discussed far less than might be expected. Granted, there are some books and blogs geared to parents raising bilingual children; some books, journals, and sites more academic in nature; and some coverage in the media (which seems to be increasing). Still, this attention feels disproportionately small when the phenomenon of bilingualism now touches more than half of the human family. One unfortunate consequence of this situation is the significant lack of understanding among the general public when it comes to bilingualism. Raising bilingual children can be challenging enough without the additional obstacles presented by misguided input from others who are often only repeating “myths” that have continued to persist despite hard evidence to the contrary. Debunking such myths of bilingualism (like “Bilingualism will delay language acquisition in children” or “Bilingualism has negative effects on their development”) is at the heart of François Grosjean’s lively and informative book Bilingual: Life and Reality. 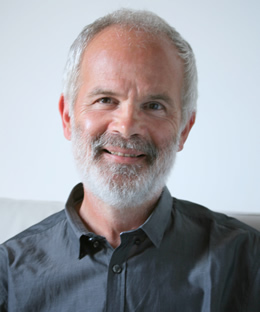 Dr. Grosjean, Professor Emeritus at the University of Neuchâtel in Switzerland and a noted international authority in the field, seeks to demystify the nature of bilingualism through personal anecdote and persuasive research, ultimately producing the best, most comprehensive primer on the subject for parents wishing to broaden their knowledge of these issues. Those familiar with Dr. Grosjean’s blog, Life as a Bilingual, at the Psychology Today website will recognize his graceful style in explaining what can be difficult subject matter in clear, friendly prose. Even when discussing complex issues, the book remains readable and engaging. Bilingual: Life and Reality is divided into two main sections: Part 1: Bilingual Adults; and Part 2: Bilingual Children. For parents raising their children with two or more languages, the first part provides a larger context for the bilingual journey—since our bilingual children will be bilingual adults before we know it!—while the second part addresses issues involving bilingual child-rearing more directly. In this second section, which includes such chapters as “Acquiring Two Languages,” “Family Strategies and Support,” and “Effects of Bilingualism on Children,” Dr. Grosjean looks at a range of issues involved in raising bilingual children and offers sound and useful guidelines for parents. François Grosjean has long been a champion of raising awareness of bilingualism, and with this important book he has performed an invaluable service in seeking to dispel the many lingering myths which can burden the experience of raising or working with bilingual children. Bilingual: Life and Reality is a wise, warm overview of the subject and I recommend it highly, not only to parents and teachers, but to the general public as well. Dr. Grosjean’s book is a much-needed resource for homes and libraries, and I hope it will be read widely and help advance accurate, positive perceptions of bilingualism around the world. After reading Bilingual: Life and Reality, I was curious to learn more about the myths of bilingualism, so I reached out to Dr. Grosjean. He was kind enough to respond to my questions in enlightening detail. Dr. Grosjean, in your book you mention a variety of persistent myths involving bilingualism. Why do you think these negative perceptions have been so difficult to dispel? I strongly believe that accepting bilingualism as it is has been hindered by a view of the world founded on the nation-state concept, that is, one nation, one language, one culture. For centuries, it was accepted that societies were, in fact, multilingual and multicultural, as were many of their inhabitants. But then, in the 19th Century and early 20th Century, it was felt by many that nations couldn’t be nations if they didn’t have just one culture and one language. The social and human sciences espoused this view for a number of years and hence they concentrated their studies on people who were monolingual and monocultural. Many myths such as that bilingualism is a rare phenomenon, bilinguals have equal and perfect knowledge of their languages, mixing languages is a sign of laziness, bilinguals have double or split personalities, bilingualism has negative effects on the development of children, etc. are the by-products of this monolingual/monocultural bias. From your perspective, would you say that the tide is turning when it comes to these myths and global attitudes toward bilingualism? I am convinced that the tide is slowly turning, but for the time being it is still a groundswell led by individuals such as academics (new generations of linguists, psychologists and sociologists), parents, concerned citizens, and, of course, bi- and multilinguals themselves. It will take time for “monolingual” societies to change profoundly so that, one day, they will acknowledge officially that they are made up of monolingual, bilingual and multilingual citizens, who belong to one or to several cultures. Some have already reached that point; others are on the way; others still have hardly started. What advice would you offer to parents who are facing difficulties as a result of others’ negative perceptions of their desire to raise bilingual children? I’ll answer more as a concerned citizen than as an academic. First, I would read up a bit about bilingualism so as to understand a number of basic facts about acquiring, and living with, two or more languages. This will not only help parents of bilingual children in their everyday efforts to make, and keep, their children bilingual, but it will also help them respond to questions, some negative, that others might ask. Second, I would join support groups, in the real world or on the web, so as to talk about aspects related to bringing up children with two or more languages. Any support one can get is crucial when raising bilingual children. Third, I would get involved in the functioning of my local school, if at all possible, to get it to be more open to bi- and multilingualism and to think about improving its second language offerings and even opening up immersion (dual language) classes. The time children spend in school, and the influence they receive from teachers and peers, have a profound impact on whether these bilingual children maintain their bilingualism or shift over to monolingualism. The winner of the giveaway is in, chosen by the grubby hand of a six-year-old boy from an empty tub of Lego! (Insert drum roll here…) It’s Christina from Northern Ireland, now residing in China! Congratulations, Christina! And a warm thanks to all those who entered the giveaway (80 people!) and shared your thoughts on raising bilingual kids. I really enjoyed reading each comment and I regret I can’t give away more books. But I’ll be back with another contest before too long! Seriously, please share this post before you continue with step 3. I’m using the “honor system” here, but if you skip this step, I bet you’ll lie awake in bed tonight feeling guilty! This is the URL—just copy and paste! 4. All entries must be submitted by the morning of Tuesday, February 25 (Japan time). On that day, the comments will be printed out and cut apart to serve as entry slips for the drawing. The slips will be placed in my son’s big, empty tub of Lego (because his millions of Lego pieces are always strewn on the floor instead), and I’ll ask him to reach in and randomly pull out one lucky winner. I’ll then contact the winner and update this post with the results. I won’t respond to your comments here, but I do look forward to reading them. Thank you for entering the giveaway, and for sharing this information about Dr. Grosjean’s book with others. Raising bilingual children is fascinating! Raising a bilingual child is like indulging yourself with a great piece of chocolate cake! Really, after many efforts it comes the period of satisfaction and fun. And I said “indulging” because I enjoy having conversations with my son, while nobody understands us! Raising bilingual children is still a mystery to me. Honestly, even though I’m following most of the ‘rules’, I still feel like I’m flapping in the breeze most of the time. Raising bilingual children is fun. Raising bilingual children is a great adventure, with ups and downs but worth it at the end. I like my wee boy and I spend time together, we joke and chat in Spanish while my husband is clueless about our special bond.???? Raising bilingual children is exciting as I never know what my son comes out with next – will it be English, will it be German, who knows? 4. Raising bilingual children is making our lives richer and better in every way. 4. Raising bilingual children is challenging but worth it. Raising bilingual children is so funny during the “mixing” stage when they fit words from both/all languages together like a puzzle and out comes a perfectly logical sentence! Raising bilingual children is hard work at this stage because we never know what language she is trying to say a word in. Raising a bilingual child is my obligation and my gift to my child. 4. Raising bilingual children is a challenge and satisfaction. Raising bilingual children is so much harder than I ever thought it would be, but I know it is going to be worth every headache the first time I hear her utter a French word. 4. Raising bilingual children is my major project and adventure with my son. It’s just great to be able to communicate with him in my language. I believe it also opens up more possibilities and opportunities to him. Raising bilingual children is a great challenge, but an extremely rewarding adventure. 4. Raising bilingual children, while fascinating, rewarding, and fun, takes a lot of time, money, and patience, and you still often end up feeling guilty and inadequate. 4. Raising bilingual children is a fun and worthwhile challenge. Raising bilingual children is being surprised (each and every day) with their learning abilities. Is getting amazed, proud and excited with each new word said and their effort in expressing themselves. It’s one of the best experiences I’m having as a mother. I have never imagined it would be such a bliss! Viola, 3 y.o ; Matteo 2 y.o. Raising bilingual children is feeling proud of what you are doing in your life for your only reason of life: your children. Feeling useful and happy. Raising bilingual children is a journey which, while I could not have imagined in my younger days, is an experience for which I am grateful. Raising bilingual children is a big challenge. Raising bilingual children is more difficult that I thought but well worth it. Raising a bilingual child is definitely a challenge but one I need to step up to. I want to increase my efforts to help my son be able to do more in English. Raising a bilingual child is a big challenge but, in the end, she will win the opportunity to be a citizen of the world. Raising a bilingual child is FUN! Raising bilingual children is an exciting adventure, one which I hope my son will enjoy and appreciate in the years to come! Raising bilingual children is a very precious gift you are giving to your kids, and to yourself too! Raising bilingual children is as challenging as it is rewarding, as unexpected as it is planned, as serious as it is fun. Raising bilingual kids is seeing exciting opportunities for learning everywhere we look. Raising bilingual children is a trip and a half and so far worth every step of the way. It is another avenue down which a parent can create even deeper connections and bonds with their kids. Raising bilingual children is a very important thing to do to prepare them for the future in a very multicultural and multilingual world, and although it will require serious commitment it will all be for the best. Raising bilingual children is not happening the way I thought it would! Raising bilingual children is natural! Really, I’d always wanted bilingual (trilingual…!) children. 4. Raising trilingual children is very rewarding to me as a parent and I am very proud of my little girl when she really tries and speaks my language. 4. Raising my son to be bilingual is a challenge, but fascinating, rewarding and extremely worthwhile. It’s extraordinary to see him already use both languages, and I’d love to know why he chooses the words/phrases he does! 4. ‘Raising bilingual children’ is a topic about which I am eager to increase my knowledge. 4. Raising bilingual children is razzle, dazzle amusement & enjoyment! 2. One daughter, age 4. 4. Raising bilingual children is a family tradition. Raising bilingual children is more challenging than what I expected, but so incredibly worth it! 4. Raising bilingual children is a rewarding challenge. Raising bilingual children is very exciting, challenging and fun. I truly hope I succeed in giving this unique gift to my daughter. Raising a bilingual child is a strenuous privilege. Many of my friends have enviously pointed out their inability to do the same. I feel that it is really part of our journey. I hope to meet many more supportive travellers on the way, and I will be sure to remember to keep stocking up the supplies and I’m not getting hung up about the results. As long as we have fun on the way, I know I have already switched her brain on to other ways of doing things, and the musicality and richness of the spoken word. 4. Raising multilingual children is a gift & a challenge (in almost equal measure). Raising bilingual children is filled with many uncertainties, but is one of the greatest gifts you can give your children. Raising bilingual children is much harder than I expected. Before I had kids I assumed by hearing both languages from birth, they would be naturally bilingual, speaking both languages equally well. This is not the case when being raised in a monolingual culture. RAISING Bilingual Children feels FUN and DELIGHTFUL. The emergence of DUAL dimensions of identity, perception, and connections with TWO homes is already so fascinating. ONCE schooling begins, I am sure there will be angles of unknowns that I must face with a relaxed and open heart. MY passion and curiosity for LIFE in Japan, my bilingual competencies, and my qualifications as a teacher, will hopefully provide a great canvas of possibility for my daughter’s personal narrative. I’m very optimistic. It’s a beautiful process. 4. Raising bilingual children is a hard but rewarding work! Raising bilingual children is a non-stop challenge, full of funny moments and unique experiences. Raising bilingual children is still a great unknown to me. Raising bilingual children is a gift from my wife and me to our kids, our parents, and ourselves. One of the saddest things I’ve ever had to do was sit between my Canadian friend and his Japanese grandmother and translate for them. My kids will find and pursue their own language goals as they grow up, but my goal, and the reason for all this effort, is just to give them the most basic gift – the ability to talk to their grandmas and grandpas. 4. Raising bilingual children is the greatest idea I had in recent years! I only wish I had much more time to spend with my kids! It is an entertaining project for all of us at home I strongly hope I won’t get tired of! 4. Raising bilingual children is not something that I really gave much thought to before I had children, but now that I’ve embraced this epic journey to bilingualism, I can’t imagine having raised them without it and all the little riches it has brought to our lives. Raising bilingual children comes naturally to me. I can’t imagine not speaking to my children in Romanian. A part of me will always be Romanian, expressing my thoughts in Romanian. I want to share that part with my children. I feel that I would keep back a lot of what makes me “me” if I did not communicate with them in Romanian. And seeing them understand it and begin to use it is exhilarating. There’s no better feeling in this world. Raising Bilingual Children is the very best gift parents would give to their children forever. Raising bilingual children is an intentional, ongoing adventure! Raising bilingual children is fascinating, overwhelming at times, and it’s a privilege to have the opportunity to do so. 4. Raising bilingual children is a lifelong adventure and challenge. Raising a bilingual child fills me with amazement, awe and envy. 4. Raising bilingual children is just getting started but I am concerned already at my lack of attention in this area. Raising bilingual children is an adventure and the story of my life! 4: Raising a bilingual child is such a great opportunity to learn other cultures, history and events not only for kids but also parents themselves. It must be really tough work if you live in a monocultural country with a single language. The harder we work, the wider kid’s world gets. 4. Raising bilingual children is an interesting journey. Raising bilingual children is a challenge which has become much more important to me than I ever imagined.it has made me understand my mother better who did the same for us when we were children. Raising bilingual children is challenging and rewarding! Baby expected at end of June! Raising bilingual children is an act of love, and being thoughtful about it is surprisingly uncommon! Raising bilingual children is extremely difficult when you don’t manage to spend time together (on a one to one basis). Raising bilingual children is a privilege. We are so fortunate to have, in our overpoweringly English country, access to outstanding Gaelic Medium education in many of our state schools, from toddler groups to nursery, from Primary School to Secondary Education. Our parents’ generation could only have dreamed of this. We’re the lucky ones. The tide is definitely turning. Raising bilingual children remains a daily challenge, but I’m sure I’d feel guilty later in life had I not made the effort – not the best motivation, but it works at present. Raising bilingual children is a demanding yet hugely fulfilling challenge, of which our family is only just beginning! I’m 24 weeks pregnant! Baby is due in early June. Raising bilingual children is something I look forward to do as soon as I meet my baby. I already started to do so while in utero! Raising bilingual children is the nice gift to my son. Raising a bilingual child is an adventure we are just starting out on, and one I am very excited about! Raising bilingual children is a true adventure (and a lot of work). For the first time this weekend my son Filippo (who does not yet utter a word in neither Italian nor English) at my cries of “breakfast-breakfast! !” and “biscuits-biscuits! !” dashed to the kitchen and stopped below the cupboard where we keep our teas and biscuits, eagerly waiting for me to get busy! WOW…NOT easy but SOOO worth it! Raising bilingual children is all a matter of love: no matter how hard, challenging and exhausting it is we will keep doing it because we love our children. Raising a bilingual child is my next big adventure! Raising bilingual children is an amazing adventure – incredibly difficult, incredibly fun, and totally rewarding! Raising bilingual children is an amazing journey full of challenges but ever so rewarding! Chinese… So we could not make up a decision which should become the second language. Therefore they now both are musicians, one plays the violin and the other plays the piano. Next post: What Do You Know About Bilingualism? Take This Quiz and Test Your Knowledge!